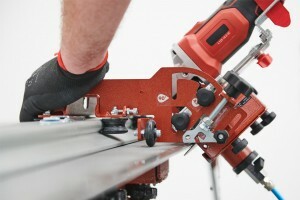 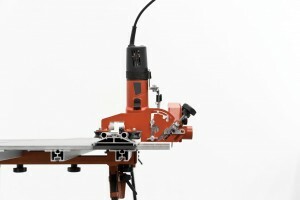 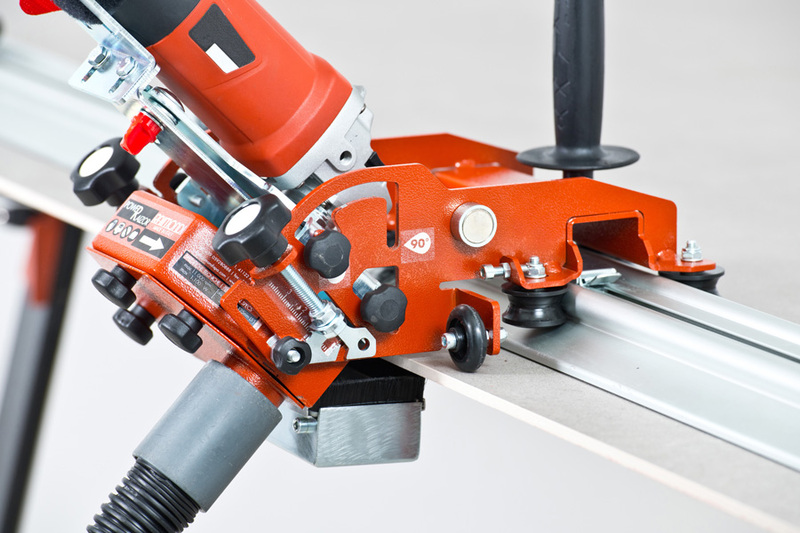 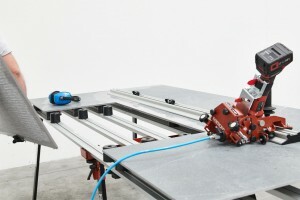 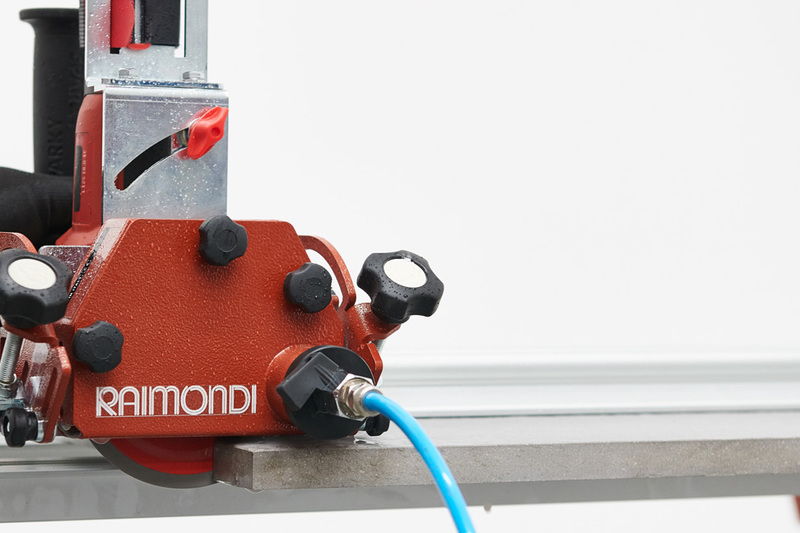 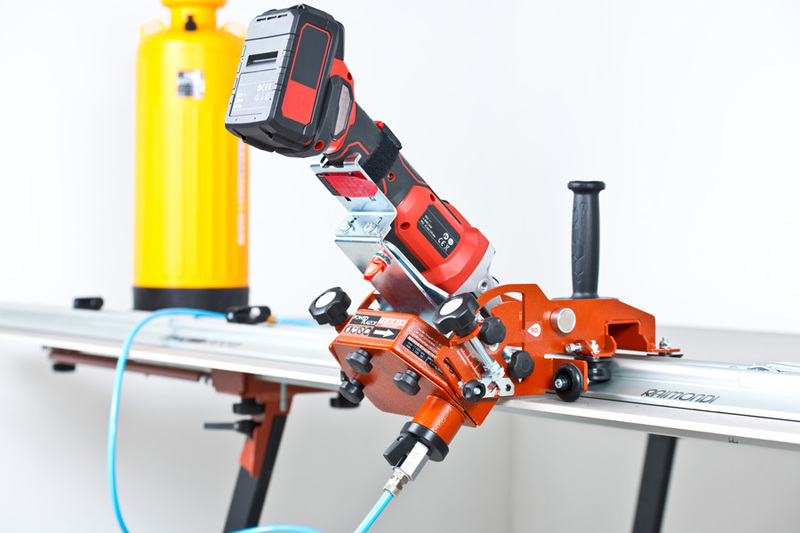 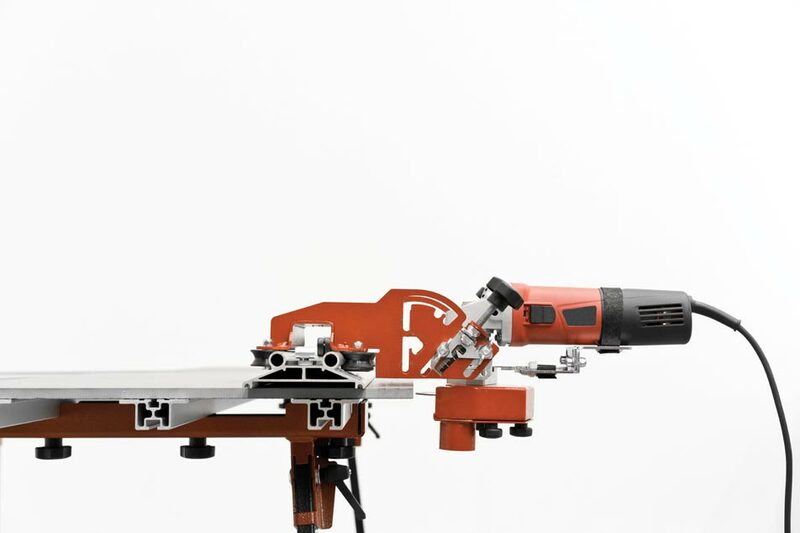 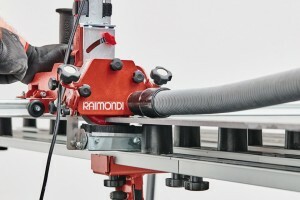 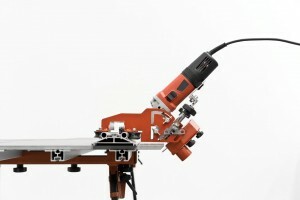 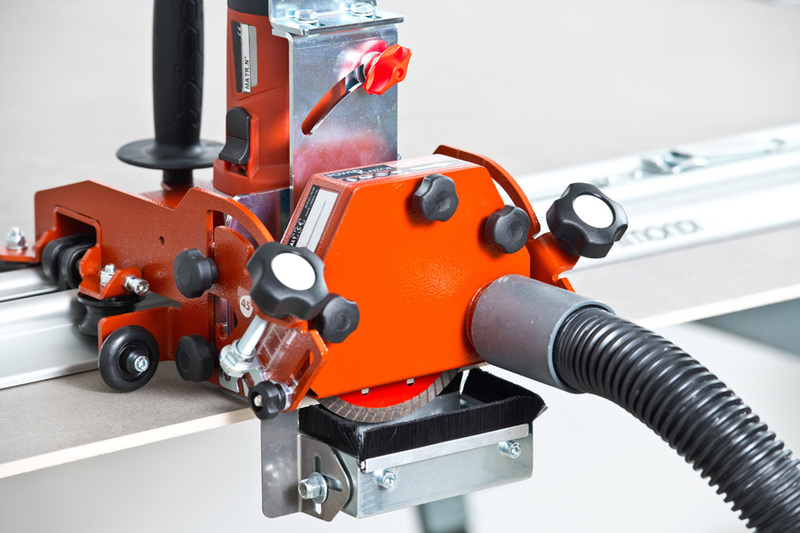 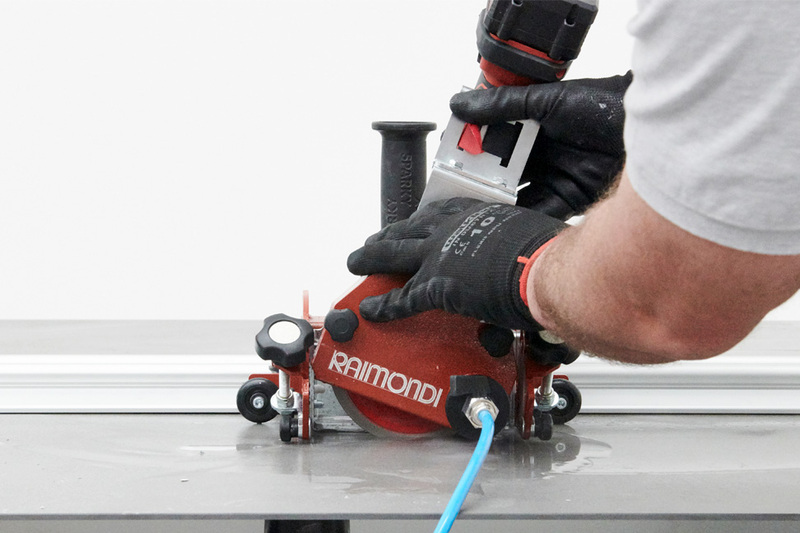 Multi-angle cutting unit with angle grinder to be used in combination to the RAIZOR cutting guide. 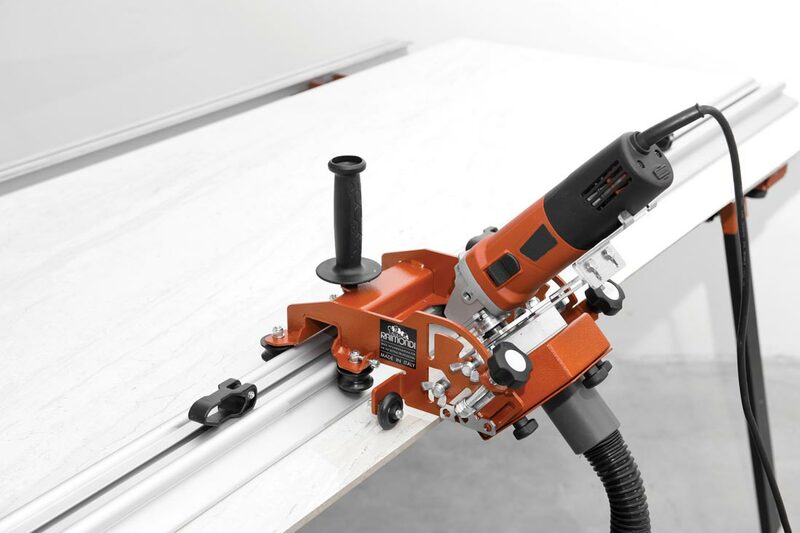 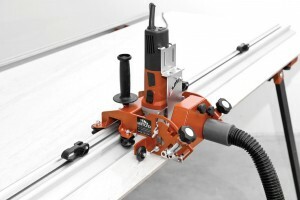 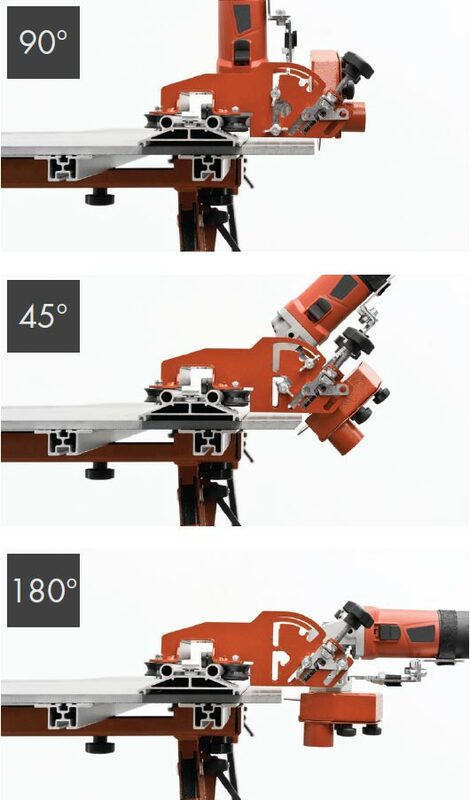 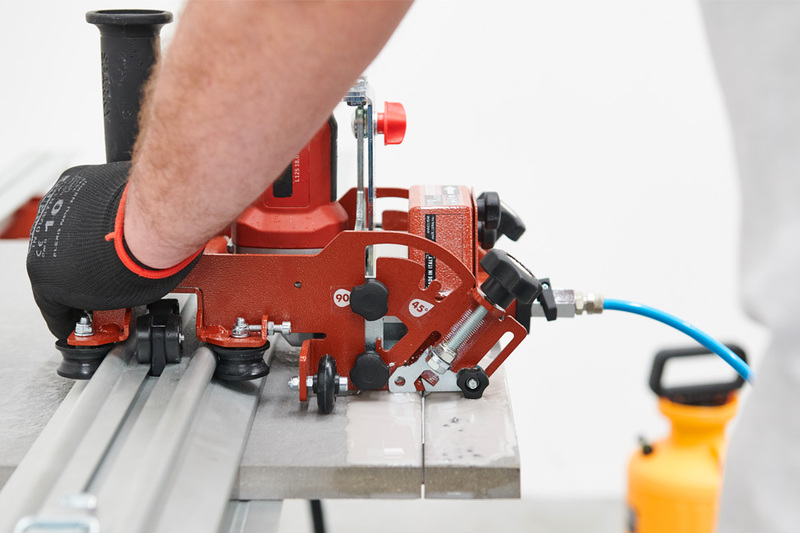 It performs cuts with the following angles: 45° (“jolly”, miter cut), 90° (standard/vertical cut), 180° (lateral incision – kerf/slots along the side of the tile/slab, and/or side shaping – 1/2 bullnose). 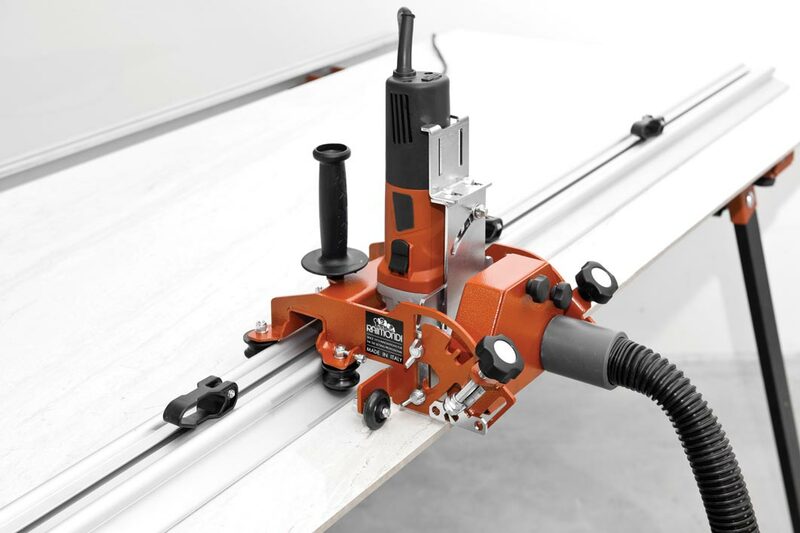 Tilting movement (plunge cut) to adjust the depth of cut, to perform square and rectangular holes and to make cuts in multiple passes. Available with or without angle grinder. 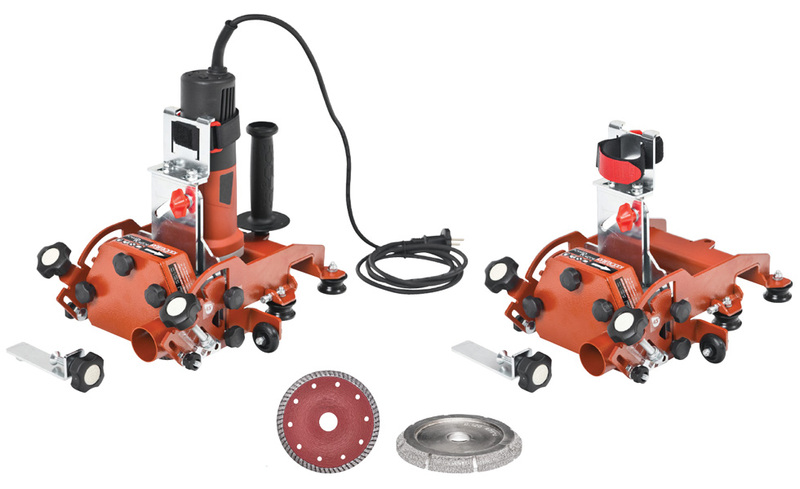 Suitable with the most popular brands and models of angle grinders. Available in 2 different versions to suit the following angle grinder arbor sizes: M14 (metric) or 5/8”-11 (imperial). Dry use (standard version) or wet use (to perform wet cut in combination with Kit for wet cut and dust suppression – Art. 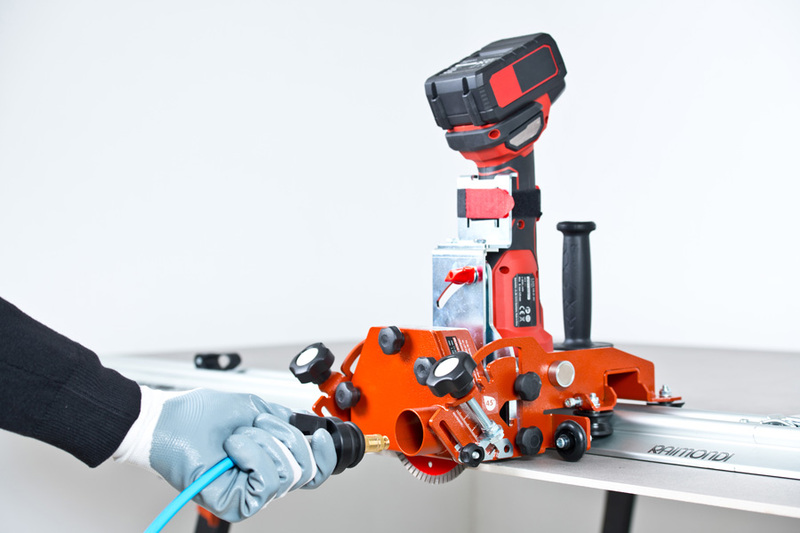 433PWW A, Power Raizor must be equipped with cordless/battery operated angle grinder or corded model having rating IP54 or any higher). 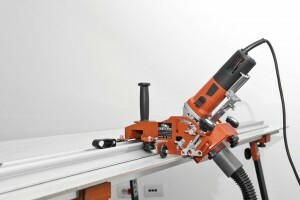 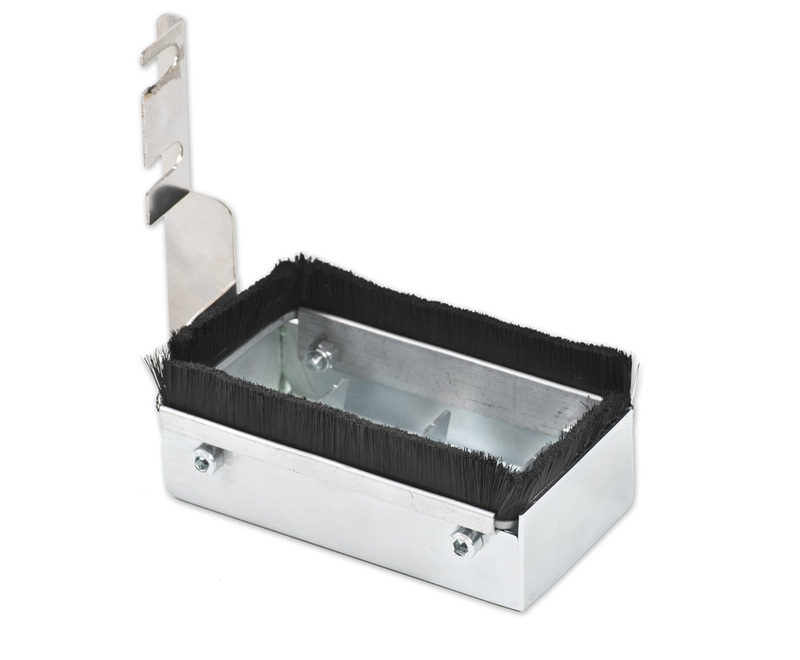 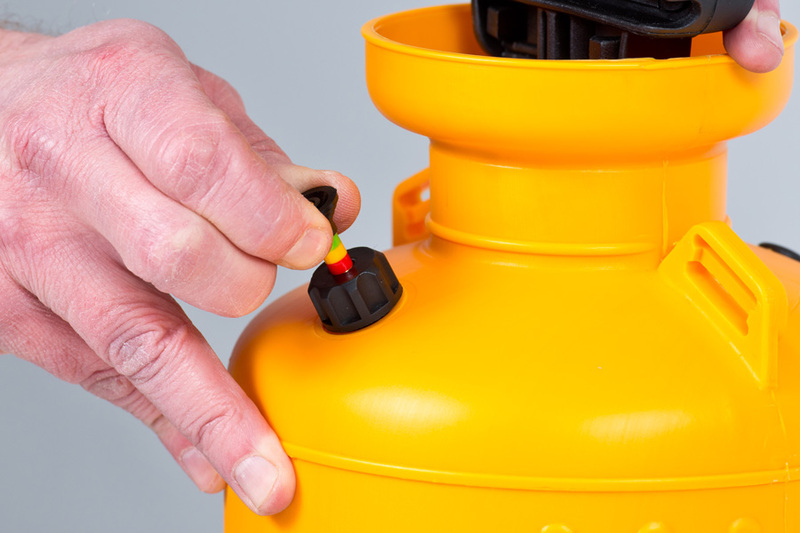 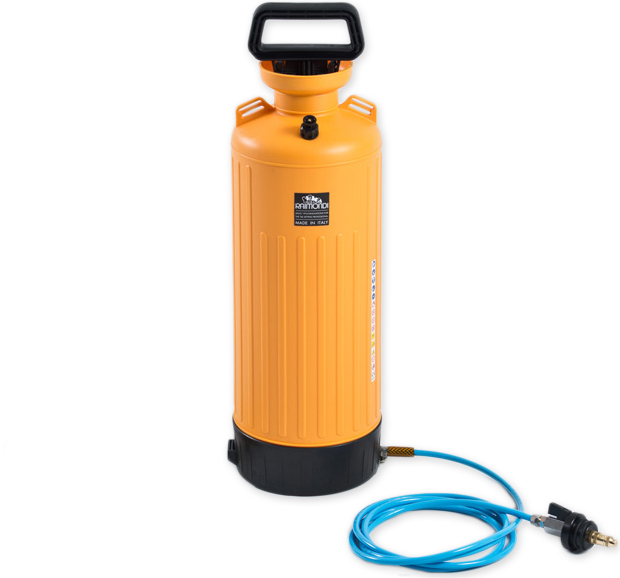 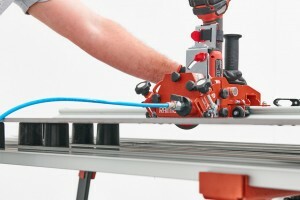 Includes connecting port for connection either to dust extractor or to Kit for wet cut and dust suppression (Art.433PWW A). 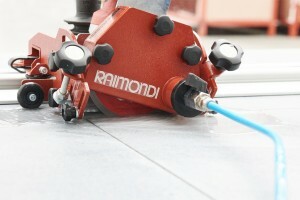 Cutting depth (thickness): 20 mm (0.78”) at 90°, 16 mm (0.63”) at 45° and 180°. 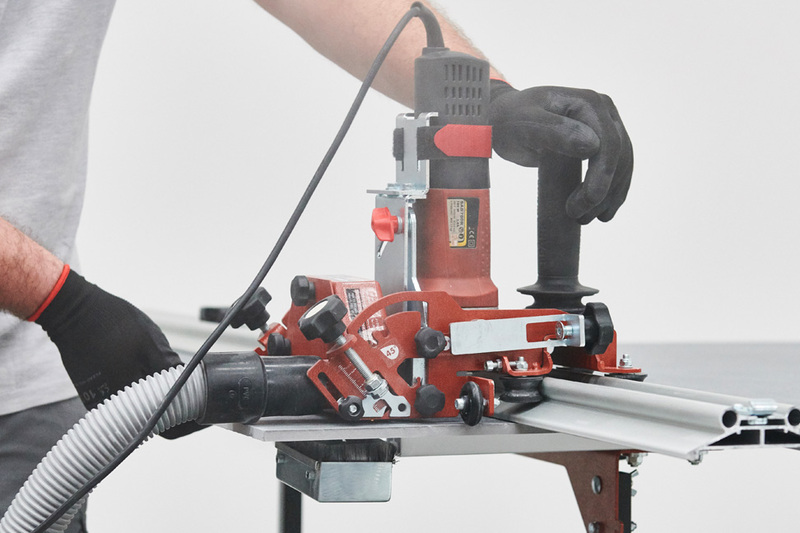 *Safety Regulations may vary from Country to Country. 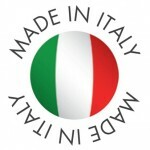 Therefore, it is strongly recommended to refer & comply to the legislation in force on the Country where the products is being used.